This are a great way to stand out, get a few laughs and stay cool! 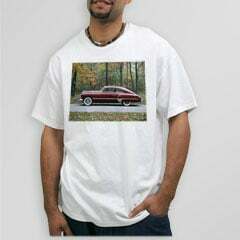 T-Shirts can be customized in two ways. Chose either the front or back of the t-shirt, add your meme or slogan or an image from the Kapruka gallery, and you are done! All your friends will definitely want to steal it from you! Kapruka's 100% cotton super comfortable Hanes Tagless T is pre-shrunk, durable and guaranteed. The most comfortable t-shirt ever! Our 100% cotton, Hanes Tagless T is preshrunk, durable and guaranteed. Unisex Design - These t-shirts are designed to be worn by both men and women.